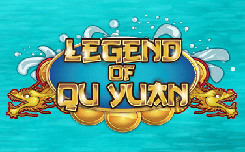 The company Booming Games, released a slot on the eastern theme called Ledgend of Qu Yuan. Together with this video slot game you will be transferred to the Far East, and you will take part in the festival in honor of the poet Qu Yuan. This slot machine is equipped with five reels and has 20 lines for forming winning combinations. In the slot you are waiting for a dragon, a mask, a flag, jugs of wine, drums, a bag of fireworks and a plate of food. Wild – a dragon image, is able to replace simple images to form winning combinations. The payout function in both directions is triggered if three symbols of the wild appear on the reels, during which the winnings will be calculated from right to left and from left to right. 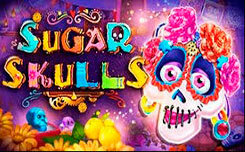 Free spin – starts if at least three symbols of the scatter appear on the reels. This function can be extended if, during its operation, again to catch three scatter.